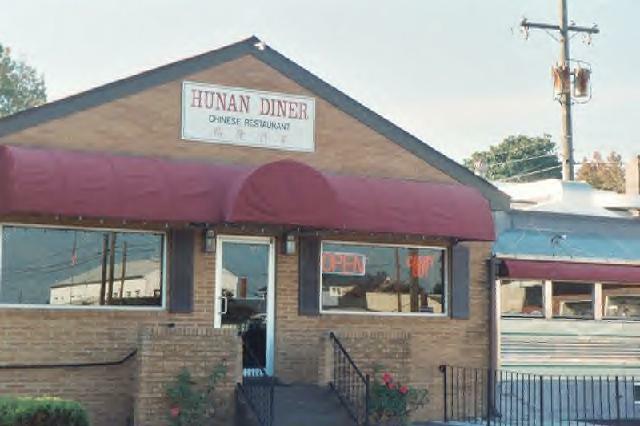 One of two Chinese restaurants in town, the Hunan Diner is right smack dab at the corner of Colonial and Washington Avenues in Colonial Beach. It's where you make the right turn next to Town Hill. This eatery has been at this since 1987. They also usually have a big all-you-can-eat buffet for Christmas Eve, New Years Eve and the Chinese New Year in February. There's an outdoor patio eating area here which is a prime viewing spot for events like the Grand Feature Parade during the annual Potomac River Festival. I usually order the General Tso's chicken when I eat here. I also enjoy the Lo Mein from time to time. Got a party to plan? There is a large party room here which can be rented for special occasions and has a capacity of up to 60 guests. The Owner/Operator of the restaurant is Alan To. The place is open daily except Mondays for Lunch and Dinner. 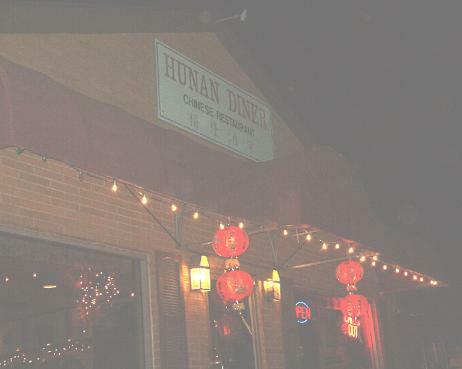 You can dine in, or take out. Lunch specials are available Tuesdays thru Saturdays from 11:30 am to 3:00 pm. There is also a bar for drinks. Try the "Volcano!" Here's a shot of the place at nighttime. Of course, the photos don't do it justice. You'll have to visit in person and see for yourself how pretty it is all lit up.